Ask about reservations that will ensure availability when you need it! Integrated Rental Services is a medical equipment resource for hospitals, clinics, surgery centers, doctor's offices, and other medical facilities. Focused on quality and customer satisfaction, Integrated Rental Services is a trusted source for your equipment needs. 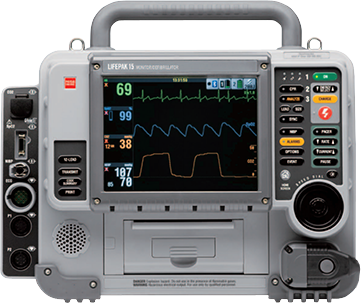 Integrated Rental Services offers a wide range of parts and services for defibrillators. Our skilled biomedical staff can maintain and repair your defibrillators with OEM parts.